•Sprinkler System Installations - As a Hunter Preferred Contractor we install top quality, in-ground sprinkler irrigation systems all around the southern Twin Cities area. Contact us today to see how we can help with your lawn irrigation needs. •Sprinkler Systems Service and Repairs - Whenever your sprinkler system needs service or repair, we can maintain or correct any problem with any system. Do you have a broken sprinkler head? Is your system watering the street instead of your lawn? Did you forget how to operate the system controller? 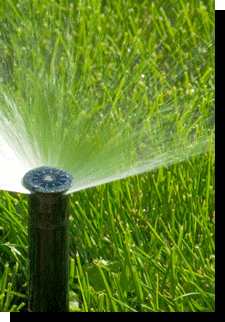 No problem, we can help you with all of your in-ground sprinkler irrigation system service and repair needs.